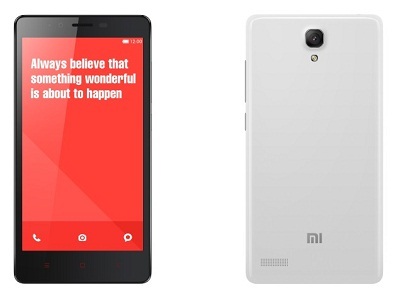 Xiaomi launched the Redmi Note in India carrying a price tag of 8,999. In addition, the Chinese manufacturer also announced the 4G LTE variant of the phablet dubbed Redmi Note 4G priced at Rs 9,999. 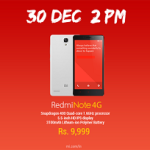 Like the other Xiaomi devices, the Redmi Note will also be available exclusively via Flipkart flash sales starting from December 2. Following the footsteps of Mi3 and Redmi 1S, this device will also require interested customers to register flash sale on Flipkart and the first registration will begin on November 25, 6 PM. 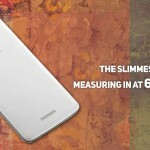 For now, Xiaomi has not revealed the number of units that will be listed for registrations and sale. On the other hand, the Redmi Note 4G will be available via the Airtel stores in six cities. Customers will have to register separately to buy the 4G variant and it will be going on sale in the second half of December. Xiaomi has announced that the firm is planning to set up more than 100 service centers operational India by the next year to cater to the needs of consumers who have bought their offerings. 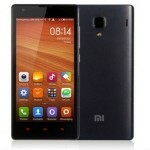 The Redmi Note was initially showcased in India when the firm launched its yesteryear flagship model, Mi3 in July. At that point of time, the Xiaomi Redmi Note was priced at Rs 9,999, but now the vendor has slashed its price and has come up with the 4G variant as well. When it comes to specifications, both the Redmi Note phablets have several common aspects such as 5.5 inch IPS display with HD screen resolution of 1280×720 pixels. Also, they pack 2 GB of RAM and 3,100 mAh battery. There is 8 GB of native storage capacity on both the phablets that can be expandable, up to 32 GB in the Redmi Note and 64 GB in the Redmi Note 4G respectively. Also, they arrive with 13 MP primary snappers with auto focus and LED flash at their back and 5 MP front facers at the front for video conferencing. The major difference is that the Redmi note is equipped with 17 GHz octa core MediaTek MTK6592 SoC and Mali-450MP4 GPU, whereas the Redmi Note Connectivity options on the Redmi Note models include 3G, Wi-Fi, Bluetooth 4.0, micro USB, OTG and a-GPS. While the 4G variant is a single SIM model, the Redmi Note is a dual SIM device. While the Redmi Note runs on Android 4.2.2 MIUI v5 skin, the 4G variant is based on Android 4.4.2 KitKat with the same MIUI v5 skin and it will be upgradeable to Android 5.0 Lollipop in future.